Time flies. Today is election day already. 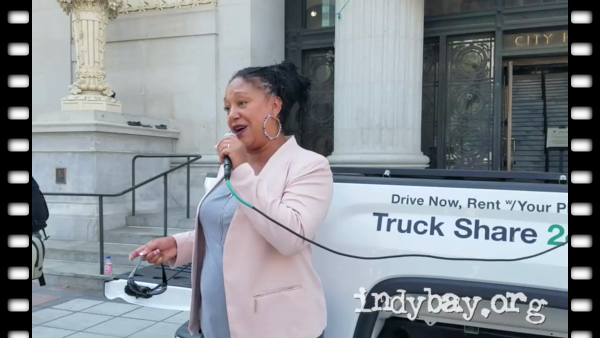 On August 8, Cat Brooks wasn't speaking through a bullhorn outside of City Hall, or commenting at a City Council meeting. 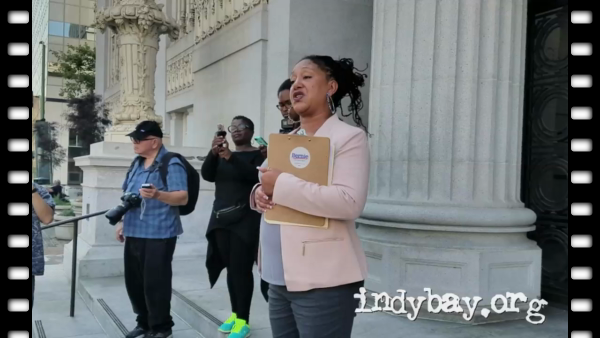 She was filing the official paperwork required to run for Mayor of Oakland. Since then, she and hundreds of campaign volunteers have poured their hearts into the "People's Campaign," reaching out to Oaklanders throughout the city, fighting hard for a just and equitable future Oakland. After a decade of street-level grassroots activism in Oakland — and after having been encouraged by Oaklanders fed up with Libby Schaaf's pro-business/pro-police regime which been cruel to people of color and low income folks in the city — Cat Brooks declared her intention to run for Mayor on May 1 at ILWU International Workers' Day events at the Port and in West Oakland. 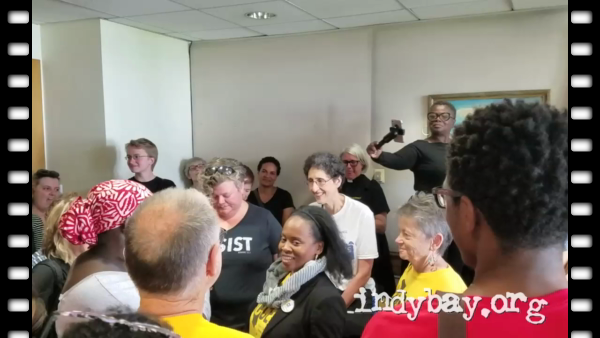 Before officially filing the required paperwork, Cat began her campaign for mayor by holding a series of town hall meetings to listen to constituents about their needs and hopes for a better Oakland, on issues from police state violence to the housing crisis, from racially equitable distribution of city resources to the arts. In the months since filing to run, Cat Brooks has raised an extraordinary amount of funds for a grassroots campaign with no major support, and a fair amount of opposition from, from the Bay Area's Democratic Party machine, well over $100,000. Hundreds of campaign volunteers have relentlessly pounded the pavement to speak with Oakland residents about what many feel might be the last best chance to save a recognizable Oakland from the onslaught of gentrification and displacement. Cat Brooks has worked tirelessly these last few months on behalf of those all too often forgotten or overlooked by city leaders.